Run Through Banners For You! Hey there, need a run thorugh made for your local football,netball or sporting club? Look no further. "Run Through banners For You" is all you need to know. 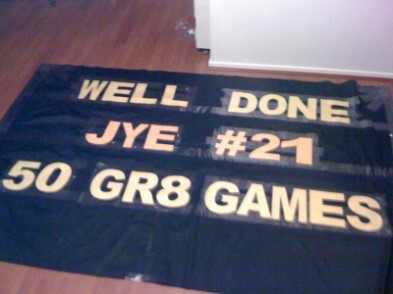 I have been making run through banners now for neally 10 years and make banners for Carlton Fc. "Run Through banners For You" is all about supplying your local sporting club with a high quailty run thorugh banner for that 50 or 100 games, record breakers and even proposals! Yes I have made a proposal banner. Doesn't even have to be a sport, could be for a charity or a corporate event! "Run Through banners For You" makes all different sizes, colors and designs that suit you needs! All run throughs are express posted Australia wide to ensure next day delivery. Please call or email me if any more information is needed.